Give employees the recognition, rewards, and resources they deserve with TalentGuards Performance Management Software! 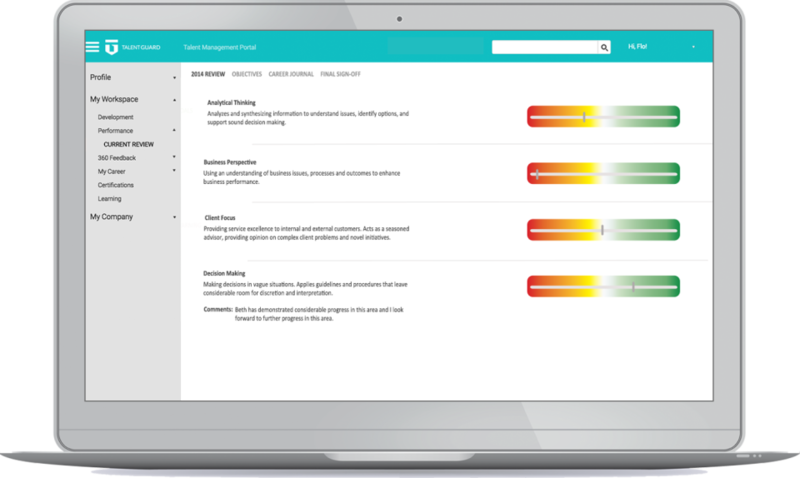 A part of TalentGuards award winning cloud-based Talent Management Software Suite, Performance Management completely automates the once burdensome performance review cycle. With customizable appraisals, continuous goal management and individual development planning, companies can evolve from the one and done evaluation process to a strategic talent management program. Performance Management Reviews Recently Reviewed!